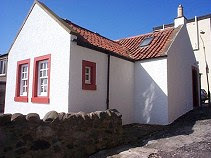 If visiting Fife for a holiday or short break, Castaway Cottage is the perfect place where every day feels like a Friday. You will not want to come home. Or, chill out in Seashell Cottage a former fishermans cottage.